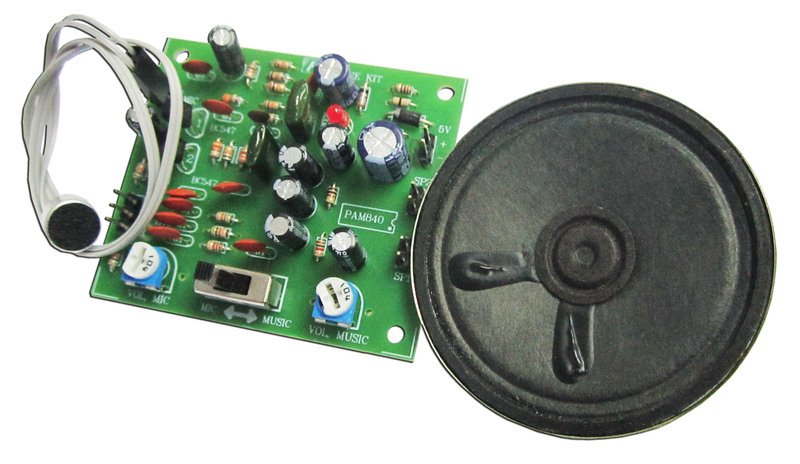 A small amplifier circuit that produces big sound! This mini megaphone amplifies your voice, useful for all sorts of audio projects including costumes and props that need to amplify sound. This kit requires soldering to assemble. A 15-30 Watt soldering iron is recommended.